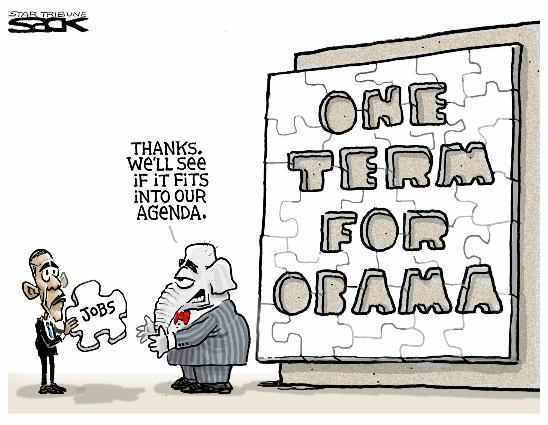 Political cartoon of the republican elephant and President Obama. The President is offering a piece of puzzle to the elephant that says "Jobs" on it. The GOP elephant mascot says "Thanks, we'll see if it fits into our agenda."